Ubisoft announced that the PC version of Assassin's Creed Syndicate will be arriving a little later than originally expected, approximately four weeks later to be more precise. Syndicate will be available on the PlayStation 4 and Xbox One on October 23rd, while PC players must wait until November 19th. In a statement by the Ubisoft Kiev studio production manager, Sam Kovalev, he explained why they're waiting an additional month to release the title on PC. "The additional four weeks are for us to really bear down and finalize all of the polish and optimization, to make sure the game and all of its systems are stable when it launches, so it runs smoothly for all players starting on day one." I'm personally glad that Ubisoft is taking the time to optimize the game. We don't want this title to turn into Assassin's Creed Unity, which if you can remember correctly, was plagued with game-breaking glitches for several months. In all fairness, the delay was to be expected. Most Assassin's Creed PC titles are usually delayed by a month or so. 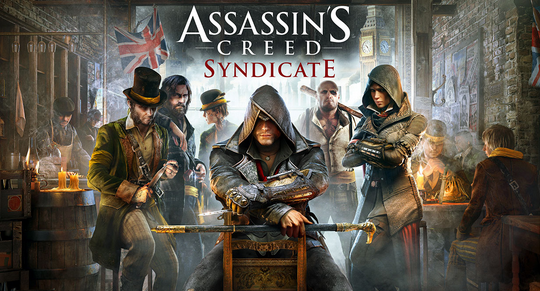 Assassin's Creed Syndicate is set in Victorian-era England and features two playable characters, a brother and a sister. After Unity was released, my faith in Ubisoft has dwindled away. What do you think about the delay? Let us know in the comments below. The Finders Cult likes this.